Website design for local ophthalmologist. Built on WordPress platform, featuring a revolving carousel, custom icons. 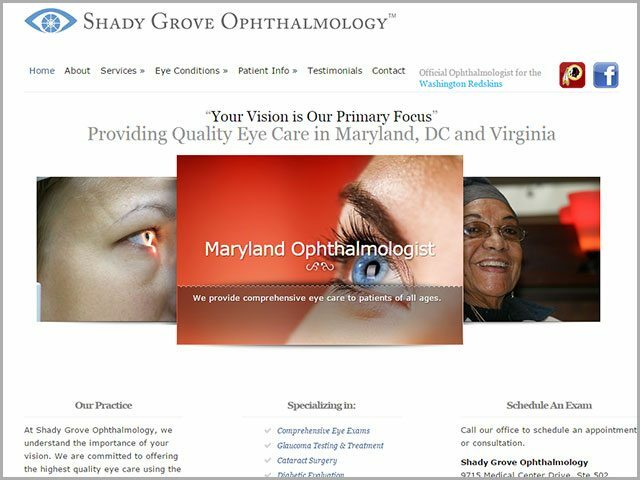 Trumpet Marketing also created a custom logo design for Shady Grove Ophthalmology.